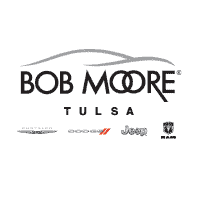 Bob Moore Chrysler Dodge Jeep Ram Tulsa, or some of you may remember us as East Tulsa Dodge, thrives on helping people like you find their next new Charger, Grand Cherokee, 1500, 200 or Avenger. Of course, we don’t stop at simply helping you decide which model you’d like. We also have dedicated auto financing experts on site to help you make your dream car part of your everyday routine. Looking for a used car in Tulsa instead? We carry a wide range of well-maintained used Dodge, Jeep, RAM and Chrysler models, as well as top picks from other automakers. What’s more, our top-notch customer service doesn’t end at the sale. The Bob Moore Chrysler Dodge Jeep Ram Tulsa car service department can help keep your car running like new for years to come. The secret? Only the truly committed Dodge, Jeep, RAM and Chrysler experts and the finest Dodge, Jeep, RAM or Chrysler parts make it into our shop. If you happen to be in the market for a new or used car, then feel free to pay us a visit the next time you’re in the greater Broken Arrow, Claremore or Bartlesville areas. Located at 4627 South Memorial Drive, Tulsa, OK 74145, we’re always happy to answer any questions you might have and set up a test drive.